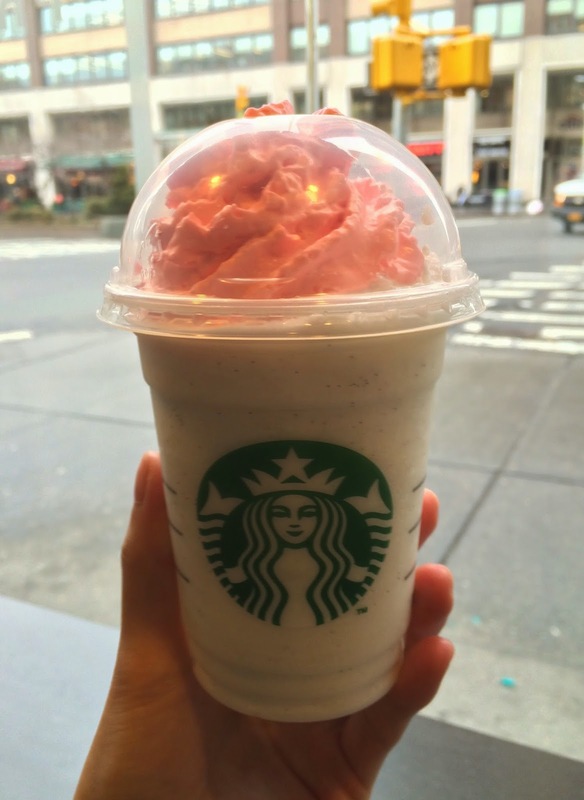 A friend of mine posted an article on Facebook about a special Frappuccino flavor available from today (March 16) till the 30th of March, 2015 called "Birthday Cake Frappuccino" to celebrate 20th birthday of Starbucks' iconic beverage. It's raining and I kind of planned to stay, the post made me quickly change my clothes from PJ and ran to the closest Starbucks. When I got there, they sure had an advertisement on a blackboard on the wall with the sales period. 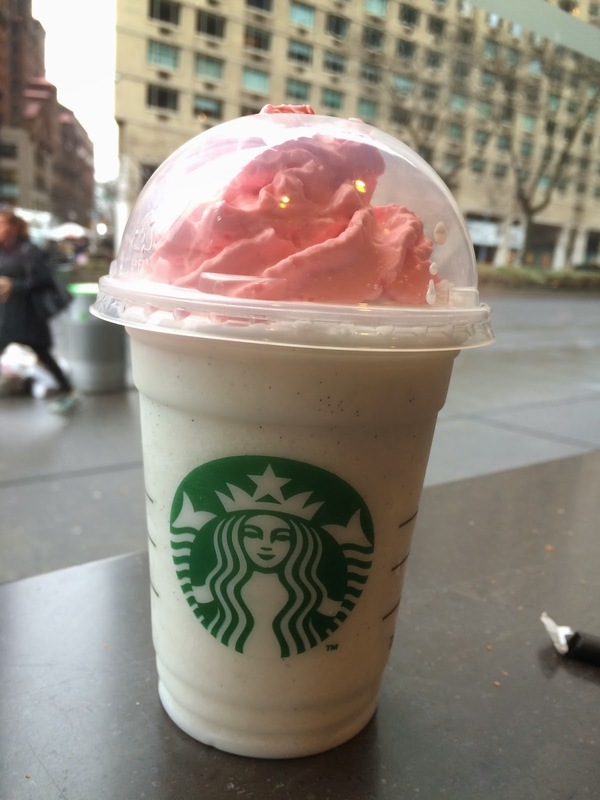 It's a blend of Starbucks’ vanilla bean and hazelnut flavors and topped with raspberry-infused whipped cream. If you take a close look of the white beverage, you can see vanilla beans. 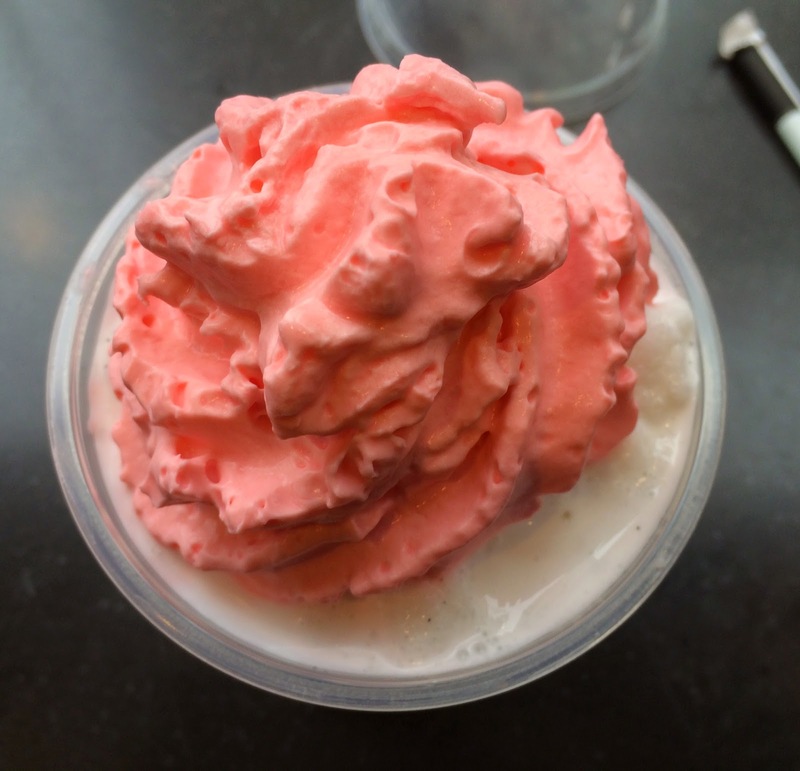 The whipped cream was cute pink, and the whole product looked like a cupcake with vanilla cake with pink frosting. It smelled very sweet and it reminded me of sweet cakes. The whipped cream is supposed to be raspberry flavor, but I didn't really smell any berry scent but only sugary-sweet scent. When I mixed the whole thing, I could think of a cake actually and thanks to the cold beverage, it didn't taste too sweet and in a way it's refreshing though it's a cake flavor. It's a very interesting flavor. I asked for the smallest size, but they prepared a Tall size, which is unusual. Every time I ordered the smallest, they made the beverage with Short in Japan, so I guess Tall was the smallest cup in the states? 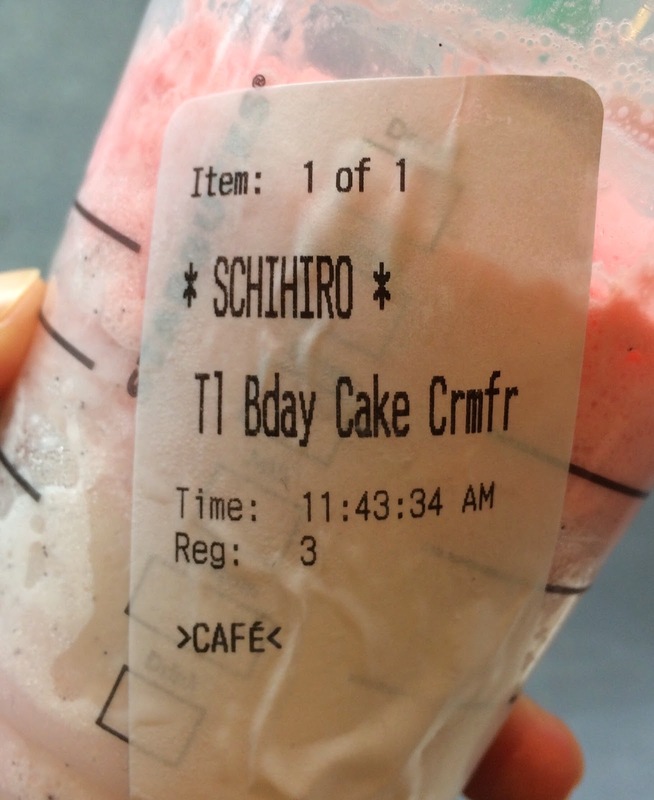 Also, she spelled my name wrong even though I spelled out every single word and I got "Schihiro" instead of "Chihiro." While sipping, I heard some other employees were taking care of consumers with way better attitude with questions asking how they were doing today unlike my cashier didn't ask me anything but the item I wanted. From the experience, I'm really hoping to have a different cashier next time I go there. I found a chronicle of Frappuccino on Starbucks Newsroom. Some abstracts I found remarkable. 1995: In the US and Canada launched the first Frappuccino; coffee or mocha only. 1996: A ready-to-drink bottled Frappuccino was introduced in the US and Canada. 1999: Green straw and dome-shape lid were launched with Caramel Frappuccino. 2002: Frappuccino Crème, made without coffee or tea, was launched. 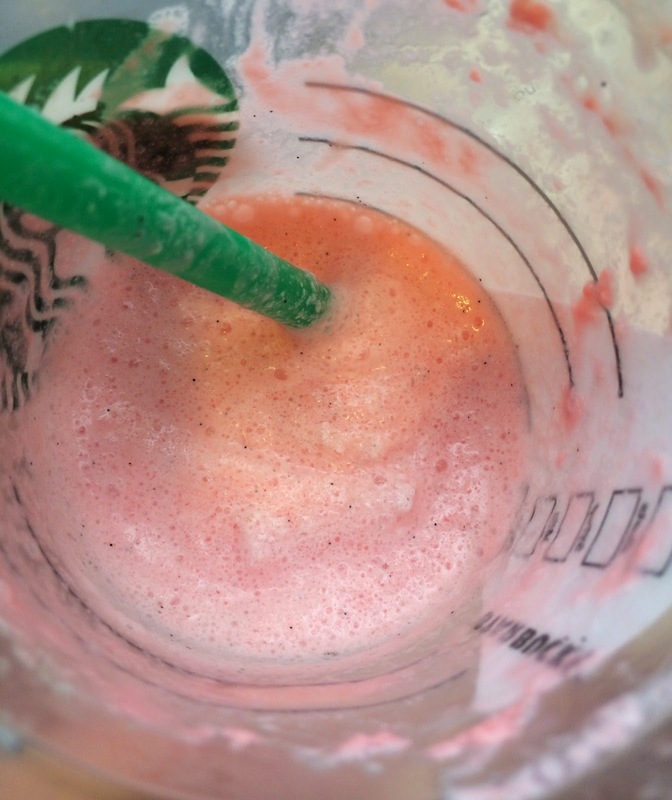 2010: However-You-Want-It Frappuccino was introduced in May and customers can choose the type of milk (whole, 2%, non fat) or soy milk, coffee, syrup and toppings. 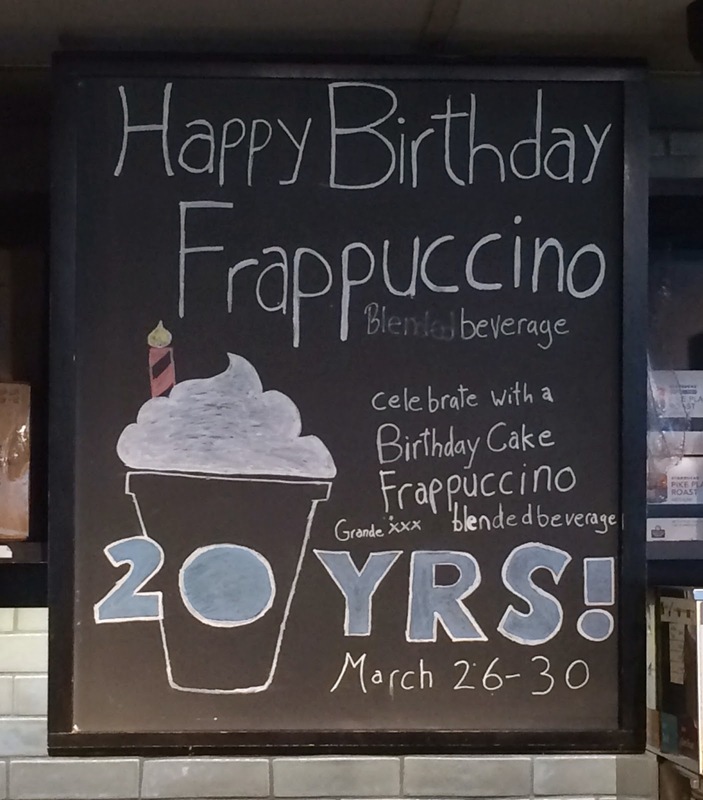 2015: Frappuccino turns 20 years old. Items I reviewed from Starbucks Coffee Japan. 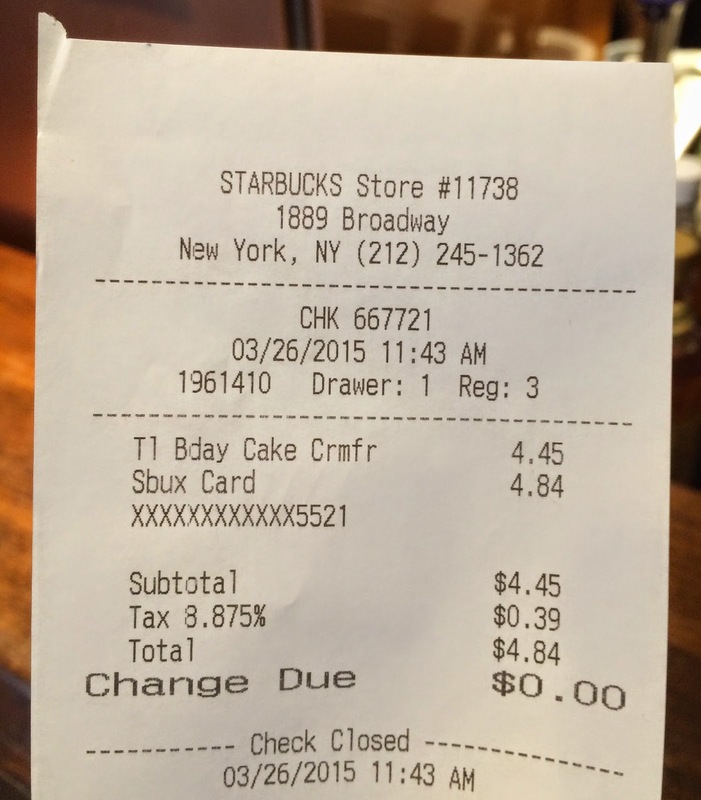 Items I reviewed from Starbucks in the states. Teavana "Peach Green Tea Lemonade"